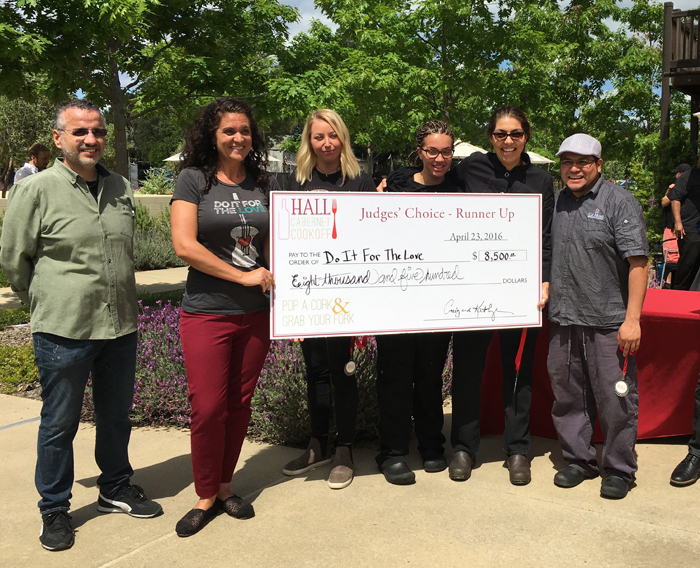 Over $60,000 Raised for Charity at the 7th Annual HALL Wines Cabernet Cookoff and an Interview with Duff Goldman! 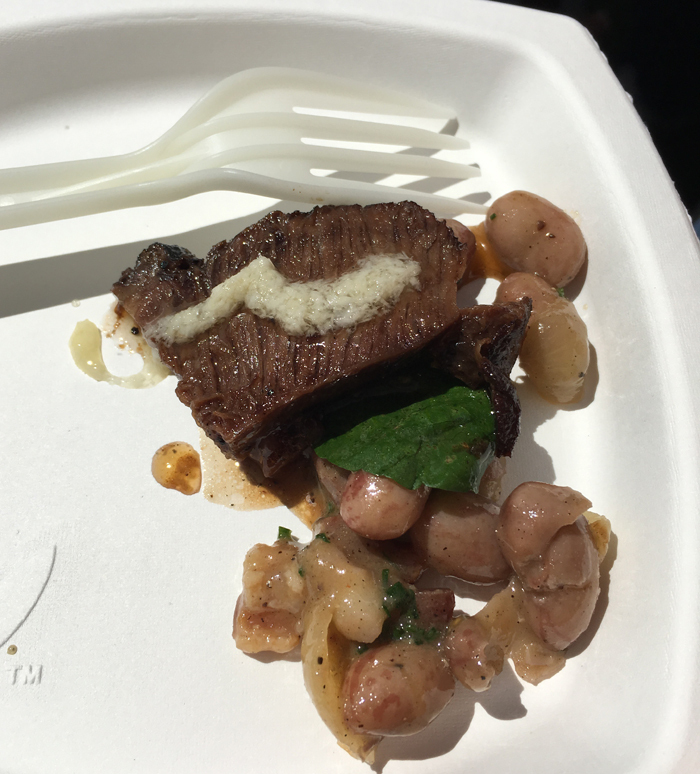 Here’s a little press release (combined with some photos I took that day and some of my comments) on the recent HALL Wines Cabernet Cookoff from my friends at the winery. After that, scroll down to read my interview with Duff Goldman of Charm City Cakes and Food Network’s Cake Masters! 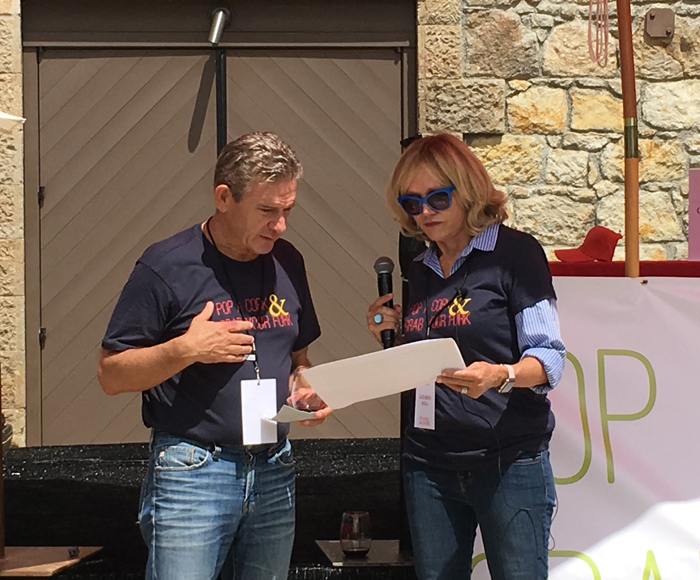 On Saturday, April 23rd, over 700 hundred wine and food aficionados helped raise over $60,000 at the sold out 7th Annual Cabernet Cookoff at HALL Wines in St. Helena. 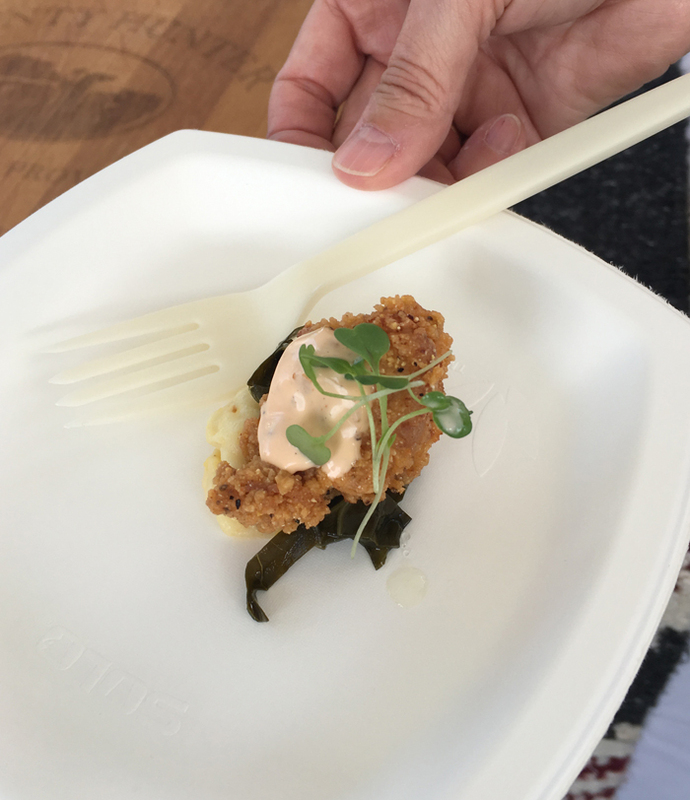 Thirteen impressive Napa and Bay Area Restaurants teamed up with a nonprofit of their choice with the goal to create the best dish to pair with 2013 HALL Napa Valley Cabernet Sauvignon. 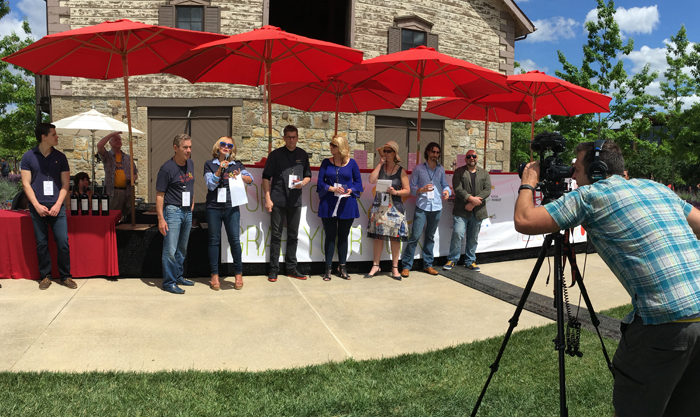 Competition was fierce, the wine was inviting, and the weather paired beautifully with this lively philanthropic event. Five judges, Duff Goldman, Celebrity Chef from Food Network, Leslie Sbrocco, host of “Check Please!” Bay Area, Virginie Boone of Wine Enthusiast, Ian White, SF Magazine, and Ken Frank, Chef at La Toque, took on the impressive task of choosing a runner up and first place winner from dishes like “Cherry Marinated Skirt Steak with Broccolini, Point Reyes Blue, Chive Blossom” or “Black Currant and Rose Macaroon with HALL Cabernet infused Geleé”. 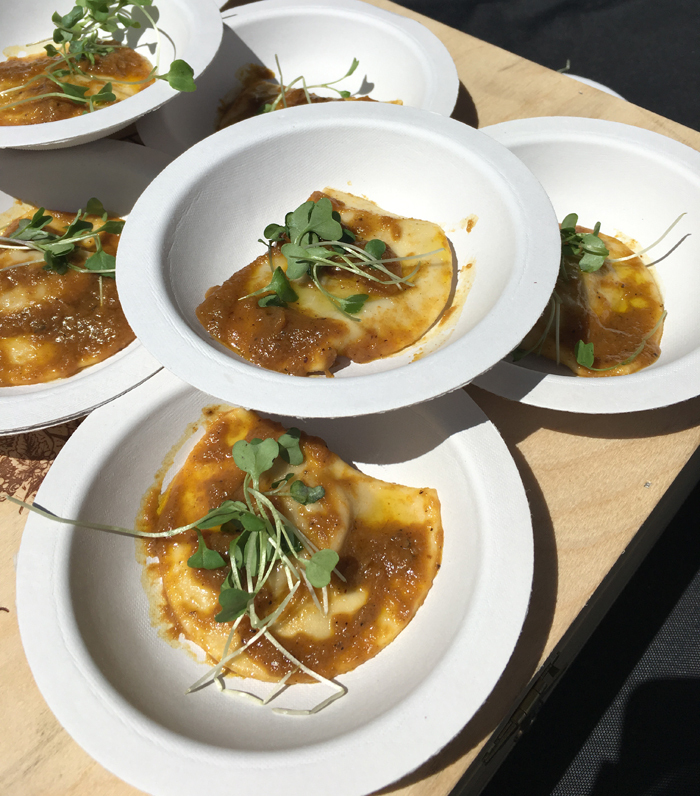 Ca’Momi placed runner up with a delectable “Heirloom Pork & Veal Agnolotti, Savoy Cabbage, Napa Valley Cabernet Pan Jus and Parmigiano Reggiano” aiding organization Do It For The Love of Napa. 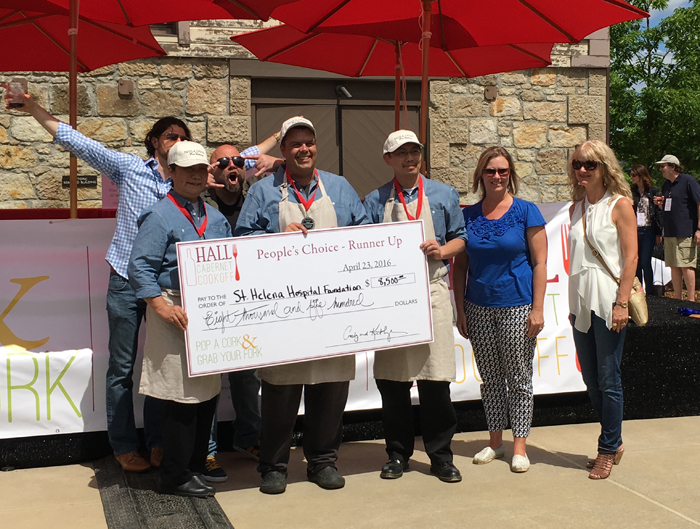 Restaurants also had the opportunity to raise money for their charity through People’s Choice, a voting system by corks serving as the tallies. 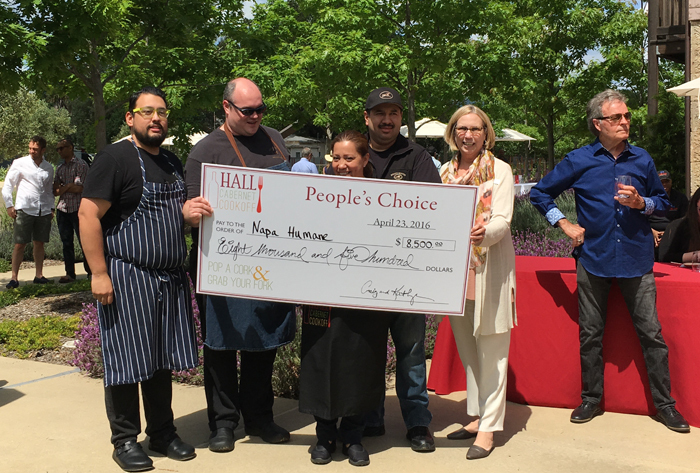 First place for People’s Choice was Napa restaurant, Bounty Hunter Wine Bar & Smokin’ BBQ, preparing “Fried Chicken with Spring Succotash” with the winnings benefiting Napa Humane. Paula LeDuc Fine Catering of San Francisco took runner up of People’s Choice with the “HALL Cabernet Roasted Strawberries with White Chocolate Crumble and Mascarpone Cream,” partnering with nonprofit St Helena Hospital. 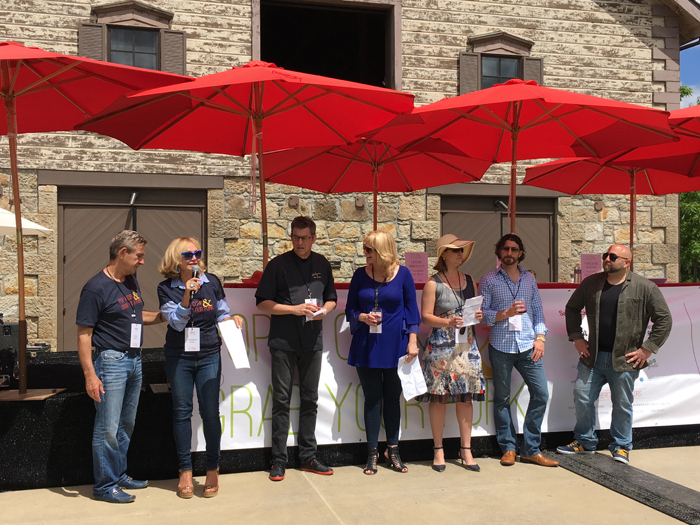 Proceeds of both ticket sales from attendees and 15% of purchases of 2013 Napa Valley Cabernet Sauvignon, 2014 Sauvignon Blanc and 2013 Coeur Cabernet Sauvignon were also donated to the participating winning charities. Sponsors of the event included at Magnum Level: San Francisco Magazine, Bright Event Rentals, Certified Parking Attendants, MyOffice Products, and Nixon Peabody. At the Harvest Level: Signum Architecture, DP&F, Benefit Marketing, Harvest Sanitation, Snap Fiesta, Napa Valley Tours and Transportation, Print Inkorporated, Frank Zimmerman and Co LLC, and Culligan Water. Bergfeld Sponsorships included Yelp, Alkar Staffing, UpOut.com, Napa Valley Engraving, Tre Posti, Barbier Security Group, The Lux Productions and Villagio Inn & Spa. Local radio station The Vine, 99.3 was on site to capture the excitement, led by personality “Good Morning Bob!”. 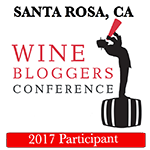 For more information about the event, please visit HALL Wines. To re-create the winning recipe visit HALL’s Recipe section. Check out the exciting sizzle reel courtesy of Flynn Kelleher here or more pictures from the event available here. 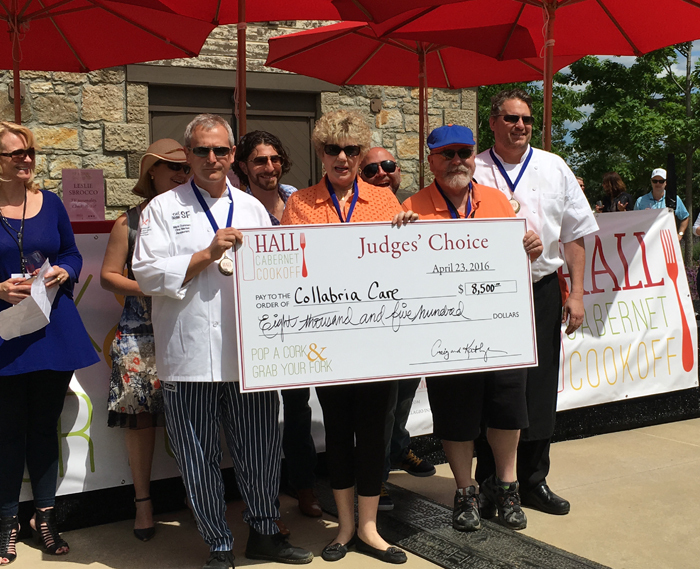 Next year, the 8th Annual HALL Cabernet Cookoff will take place on Saturday, April 29, 2017, tickets available now! The event sold out this year, so make sure to reserve your spot for next year. 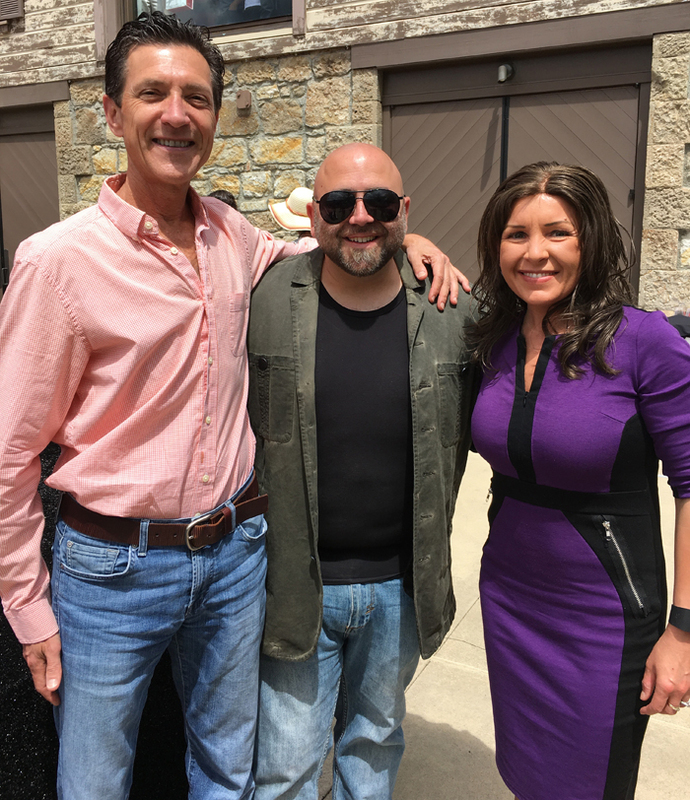 I also had the chance to chat with Duff Goldman, star of several Food Network TV shows such as Cake Masters, Duff Till Dawn, Ace of Cakes, Iron Chef America and Kid’s Baking Championship. I asked him a few questions about the event and his latest show on Food Network, Cake Masters, which currently airs Monday evenings on Food Network at 8pm EST. ME: So, how did you get involved with the HALL Wines Cabernet Cookoff fundraiser? 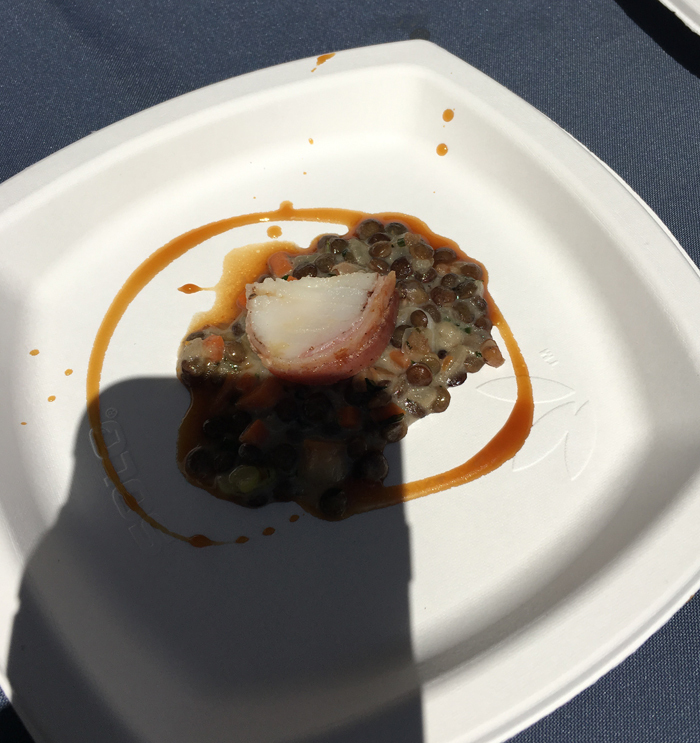 DUFF: Well, I’m not really sure, uh… you know, I went to school here, uh for culinary school (CIA), and I probably do (appear at) about 3 events in Napa every year and my name is around, I’m a friend of the valley, and this is the place where I became a chef. ME: So your new show is Cake Masters. Please tell me a little bit about that. DUFF: It’s a really cool show, it’s a lot like Ace of Cakes, you know, it follows my staff, we make big crazy cakes, uh, but it’s in Los Angeles instead of Baltimore, so we really up the stakes. So now what we do is partner with special effects houses, so these cakes are really just wild. ME: Yes, I heard about the Fantastic Four cake, and that it was pretty cool. ME: So what cake project were you most excited to do? DUFF: Uh, well we just made a life-size working R2D2. ME: That’s so awesome, that’s great. So you’re know for cake decorating, but what on the savory side do you like to make/cook? DUFF: Well, right now I’m writing a book about soup. I’ve got a soup brain right now. ME: Yes, I’m sure you probably have soup a lot living in Baltimore, especially during winter. DUFF: We do, and I actually grew up in Cape Cod, so you know it’s a big soup country up there. It’s cold. ME: I was reading a little bit about you, and found you started out bread making. How did you transition into making cake and not just cakes but cakes that are really works of art? DUFF: Well, I was a graffiti artist when I was younger, and I started cooking to make enough money to pay for my spray paint. Uh, I got arrested a lot. DUFF: Yeah, so I had to stop doing that. So then I started doing metal sculpture, bronzing, welding making giant things like that bunny out front (Duff is referring to Bunny Foo Foo, the large metal rabbit sculpture in front of HALL wines created by artist Lawrence Argent). And then, I started working on cars since a lot of my friends liked working on cars–and I was a really good welder, and they were like, hey can you come over and fix this thing, it’s like you know asking an artist to come over and paint your house, and I really liked doing it, so that’s how I kind of got into mechanics…I’ve been a working pastry chef my whole career and then I’d say when I was about 25, I was in a band in Baltimore and the band was doing really well, we were starting to get looked at by record labels. ME: And you’re a bassist? DUFF: Yeah, so I quit my job and I started selling cakes out of my apartment to try and help pay the rent while I was trying to be a full time musician. ME: You’ve always had the pastry thing in the background and you were in Colorado for a while? DUFF: Yeah, I used to carve ice out there. ME: Well it was really cool to hear a little bit more about your background and I appreciate your time. DUFF: Well send it (the link) to me, I want to read it. ME: *faints* (KIDDING!) Oh I will! Totally, totally. Thank you so much! DUFF: Nice to talk to you. I also want to thank HALL Wines for inviting Andy and me out again. We always have an incredible experience. Don’t forget to visit www.hallwines.com or follow their social channels on Instagram here, Twitter @hallwines and on Facebook here. CHEERS!! Here’s a little press release from my friends at HALL! 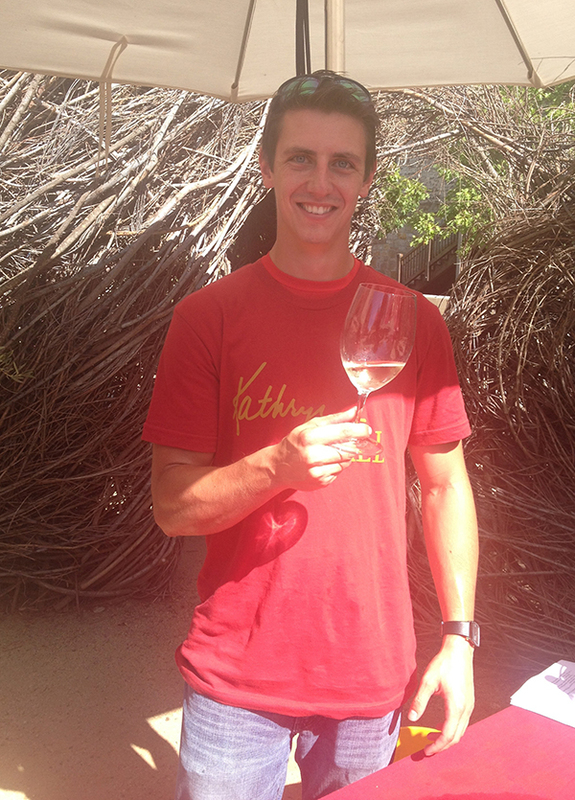 We can’t wait to attend the Kathryn Hall Cabernet release party in September! You can read about last year’s party here. HALL St. Helena has announced the date for its annual Kathryn Hall Release Party releasing the 2012 vintage of its flagship Napa Valley Cabernet Sauvignon. The event will take place on Saturday, September 12 and will include a unique Vertical Tasting prior to the event hosted by award winning winemaker, Steve Leveque.“2012 is one of the most exciting vintages this Valley has seen in a decade,” says vintner, Kathryn Walt Hall. “We are thrilled with how Steve and his winemaking team have consistently crafted this wine each year, maximizing each vintage to produce the best possible result. This is truly the best fruit Napa has to offer.”Bringing together winemakers, wine-lovers, fans and foodies alike, guests will be invited to enjoy a sun-filled afternoon outdoors to sip on the newly released 2012 Kathryn Hall Cabernet Sauvignon. This wine was recently rated 97+ pts by Robert Parker. In addition to the main event, a rare Vertical Tasting hosted by Steve Leveque will take place from 10:00 a.m. to 11:00 a.m. in the historic Bergfeld building. The experience will include a tasting flight of Kathryn Hall Cabernet Sauvignon (vintages 2007 – 2012). Country music entertainment will be provided and guests will be served farm-to-table bites, western style. Additionally, Kathryn Walt Hall will be available during the event to sign bottles. 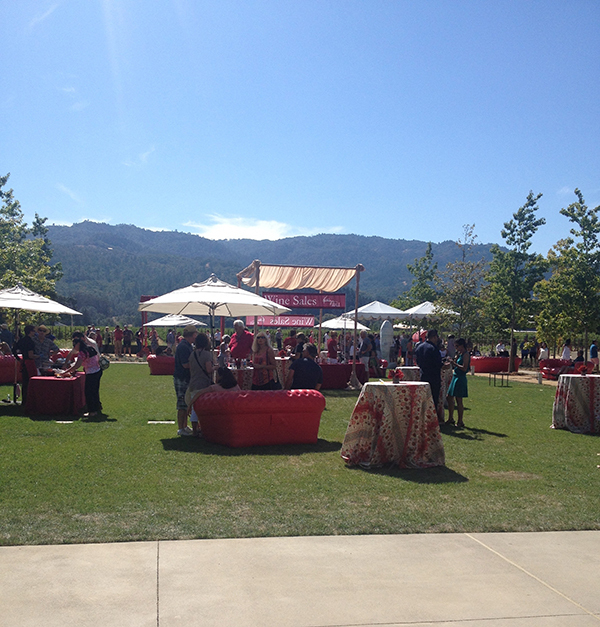 The Kathryn Hall Release Party takes place on The Great Lawn in St. Helena located at the base of the Mayacamas Mountains facing HALL’s Bergfeld Estate vineyard. Think daytime. Think Texas BBQ. Think Kathryn Hall, Y’ALL. 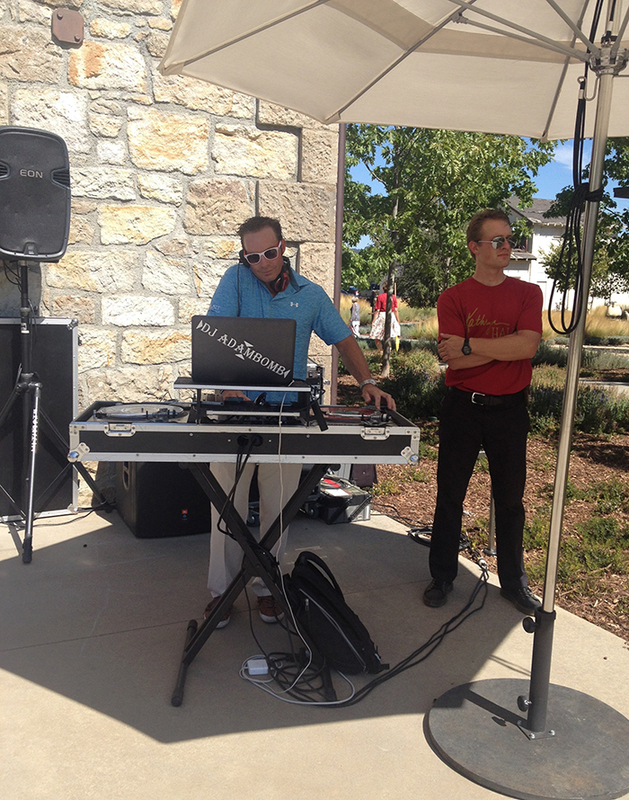 It’s going to be the ultimate harvest showdown with 800 friends set on the Great Lawn at HALL. Tickets can be purchased on Eventbrite at http://bit.ly/1LiII7v. Prices for the Main Event are $75 for Early Bunny (purchased before Aug. 17) and $90 thereafter including at the door the day of the party. 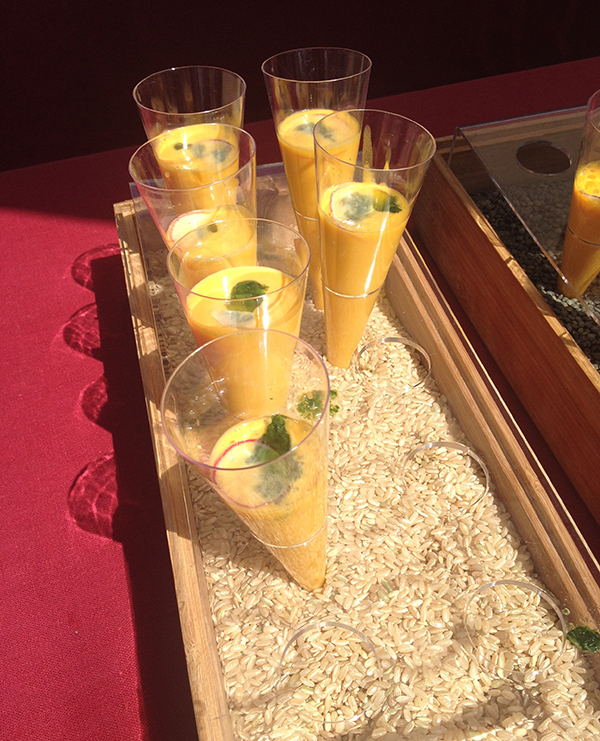 Ticket price for the Vertical Tasting is $200 and includes admission to the Main Event. For more information, please visit www.hallwines.com or follow their social channels on Twitter @hallwines and on Facebook here. 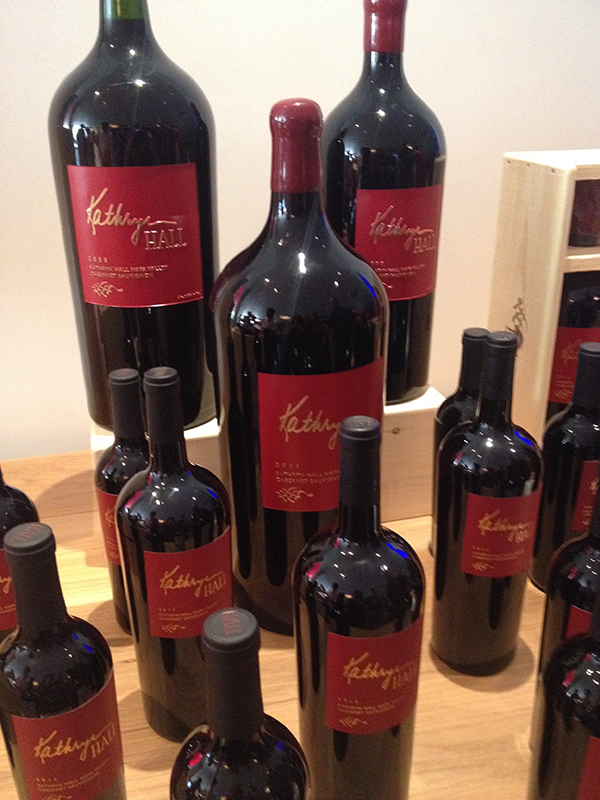 Kathryn Hall 2011 Cabernet Release Party: My Heaven on Earth! The Cabernet Gods looked upon St. Helena with a smile on their faces last Saturday. It was the setting of the Kathryn Hall Release Party, and the release of the Kathryn Hall 2011 Cabernet Sauvignon. 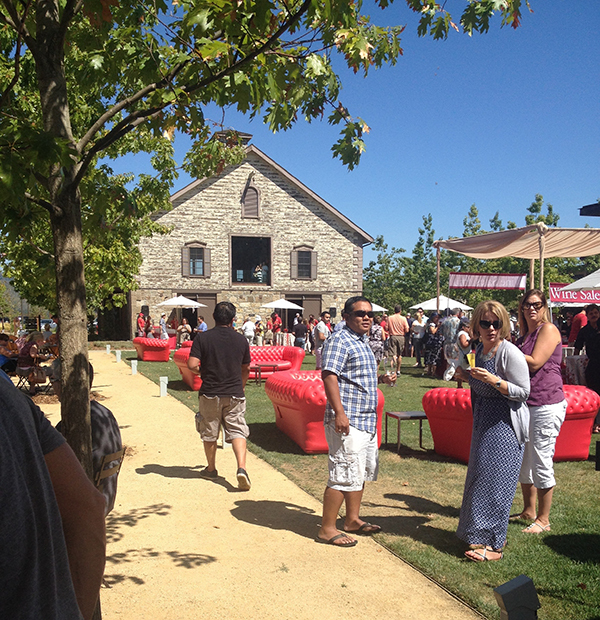 The ticketed party was mostly held on the great lawn at HALL Wines, featuring several stations to taste wine and food from Feast Catering. It was an honor and privilege for Andy and I to be guests of the party and to experience it amongst true Cabernet lovers and fans of Kathryn Hall. I felt a bit like Alice in Wonderland in the Queen’s croquet garden, surrounded by the big red vinyl couches and the delights hidden behind the shrubs on the Great Lawn. 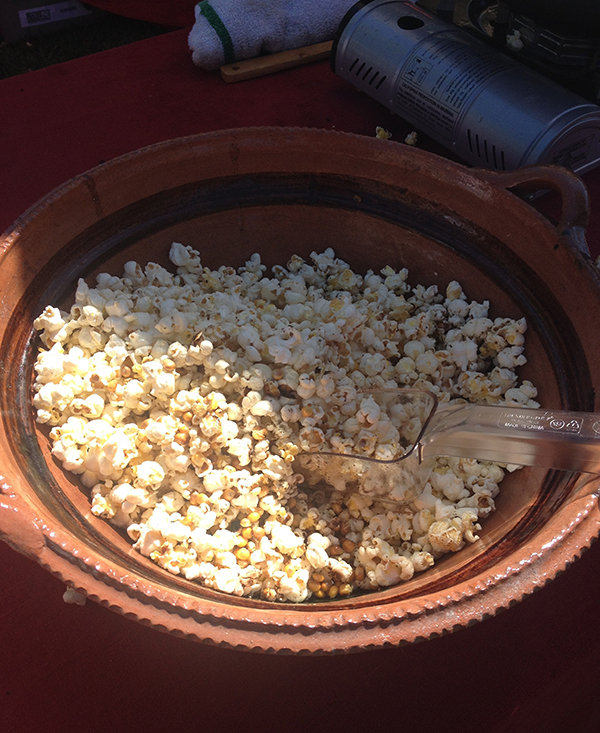 Then the Bacon, Duck Fat, and Smoked Sea Salt popcorn happened! Actually, it happened just as Kathryn Hall herself officially announced the release of the 2011 Kathryn Hall Cabernet Sauvignon. Andy and I hustled to the nearest station pouring the newly christened cab to have a taste. AND THEN the fatty popcorn happened. 😉 It was made fresh in a large wok and served in little paper bags. I didn’t want to seem uncouth, so I took a small serving in a paper bag instead of taking the scoop and shoveling the delectable kernels directly into my mouth! 😉 Better than anything I had ever had at the movies! Well, at least popcorn is gluten free… and for vegetarians, there was another flavor: A habanero, green onion, garlic, and chive concoction. And I think it paired a little better with the new Kathryn Hall Release because the Cabernet is still pretty young and stood up to the heat of the slightly spicy popcorn. Then I visited the grape crushing station and contributed to the 2014 Cabernet. So, that’s a warning to all of you out there. My feet touched some of that juice. 😉 Watch and see! Here’s how you make great wine! I was having a blast! 🙂 I still pinch myself sometimes because I think I am dreaming. This is the life I saw for myself 10 years ago. 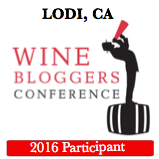 I wanted to be in the heart of wine country standing in the sun and sipping some of the best wine in the world! Andy stayed out of the juice, and thank goodness…you don’t want to know where that guy’s feet have been. Just kidding. I think he just didn’t want to have sticky feet. 🙂 I am so happy I crushed those grapes. I will always remember how happy I was standing in that barrel! 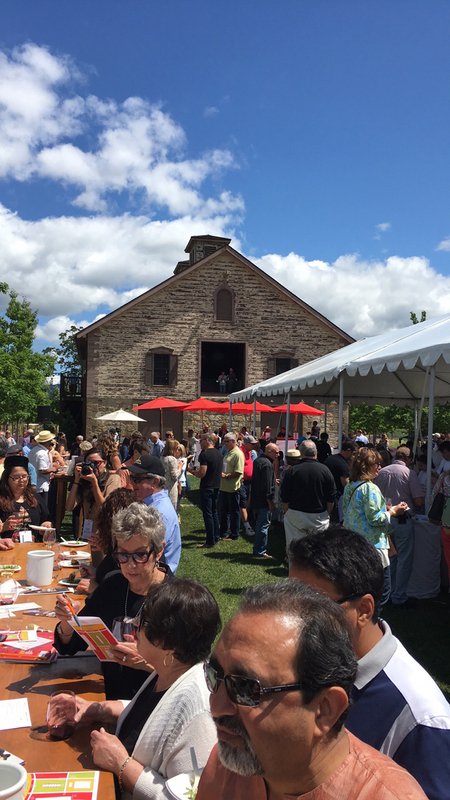 I think the only thing that would make me happier is being a judge at next year’s Cabernet Cookoff (also held at HALL Wines). Man, all that grape crushing worked up my appetite… (ha, just kidding…) but we were looking for another little snack to try, so we headed into the workshop and dining area. 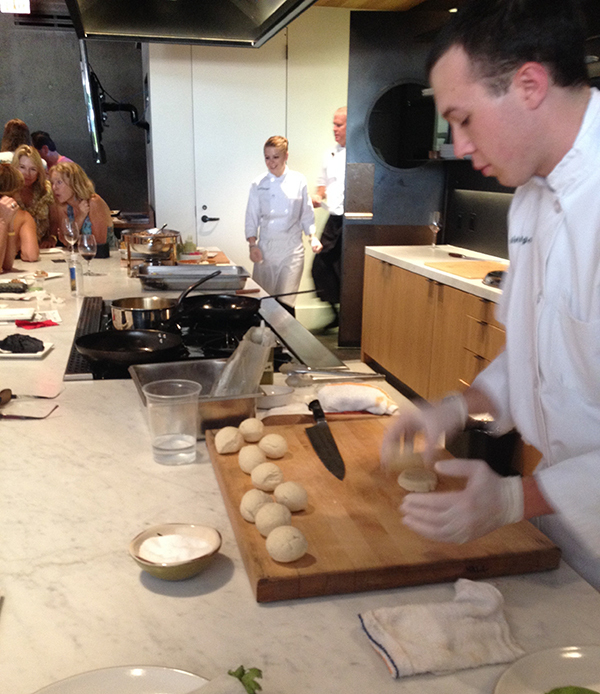 It’s basically a full open kitchen with a dining area where patrons can see demonstrations of food being prepared. 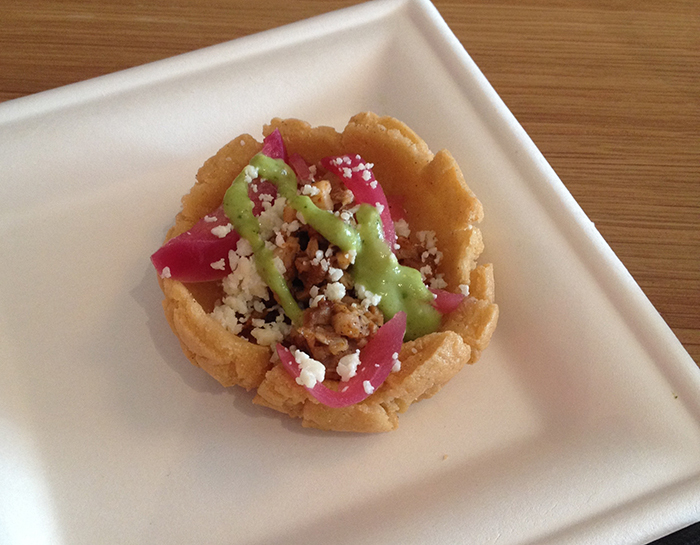 Today the culinary team were demonstrating how to make sopes. They began by rolling out the dough (masa soaked in lime) into a ball and then flattening it into a disc with a little but of an impression in it. Then, post frying and draining the discs were filled with ancho chili rubbed carnitas with avocado tomatillo salsa, picked red onions & cotija cheese. They were muy delicioso! Also in the workshop was a display and check out area where vintage Kathryn Hall Cabernets and large volumes were available for purchase. The 2011 is available to wine club members in this allotment: 15 bottles (750ml), 1 Magnum (1.5L) and 1 Larger Format (3L or 6L). What an incentive to join the wine club! PS: You get an invite to this amazing release party! We did a little bit more walking around the great lawn, and went back to hang out with a new friend we made that day! His name is Spencer and he’s straight out of Louisville, Kentucky! 🙂 Congrats on your position at HALL Wines, and what a great place to be so young in your life. Cheers! 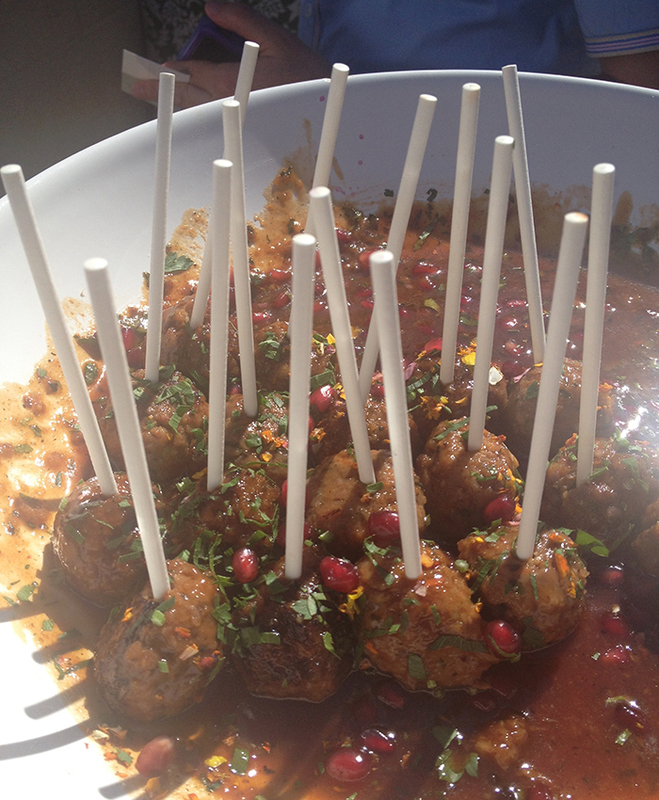 After we chatted with Spencer, we found Moroccan Lamb Lollipops with Pomegranate sauce! YAY! 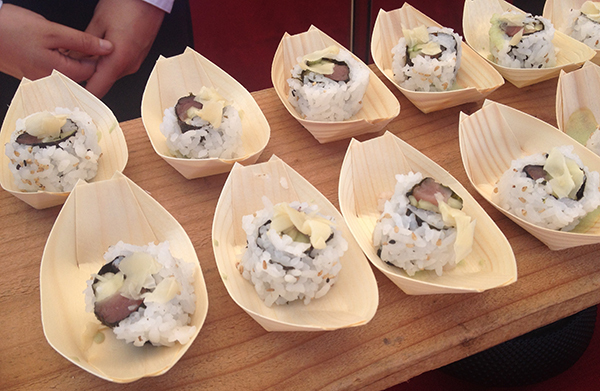 Take a look at the fun other guests had by viewing the social media feed from the party here. Get social with Kathryn Hall by following HALL Wines on Instagram here, on Facebook here, or on Twitter here.